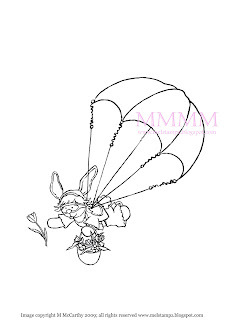 Mel Stampz: Parachuting Digi Bunnies? Anyone interested in some free digital images of bunnies? I'm working on some of my doodles in hopes of building a little business eventually, but I wanted to give you guys a little Easter Present. I drew these bunnies to use as digis. You can resize them & you can adjust the darkness of the lines, like any JPG. If you think you might like to use them, please leave a comment here to let me know. If there's any interest, I'll email them or post them. I would love to have them thank you. they are absolutley fantastic!! i´d love to have them.. They are adorable. It would be fun to color them. Your drawings are beautiful. Great job! Thanks! What ARE YOU KIDDIN'? I'd love to have them...so original and CUTE. 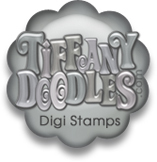 If you give them to us, you will have the distinction (hee hee) of being my first foray into the world of digi stamping. I have only tried the digi ds so far. Will we be able to re-size them? They are really cute, I would love them. These are awesome...why have you been hiding this talent from us? 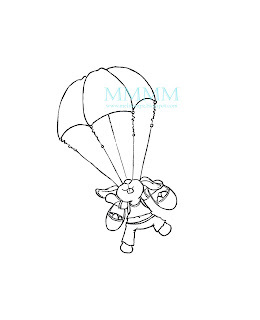 And they're different too...love the idea of the parachutes! You are too talented for me (angels singing in the background)! how did that anonymous get there instead of my name, sorry.. These are adorable, and such a unique Easter images. I would absolutely love to have these images to create a card. They are adorable!! Yes, I would use them! Yes, yes I would love them!! They're awesome. I would also love to use your images. Thanks, Mel, for always thinking of your readers. These are adorable, i would love to have them. Thank you so much. These doodle bunnies are so cute, I would love to be able use them on a card(s). They are adorable! And with our family owning a bunny . . . all the better! And also a huge thanks for such an awsome blog, I tried your bucket template and it was so fun and easy! Have a super weekend! These are simply adorable. I am drawn to everything bunnies. My collection started in the early 80s and my husband keeps trying to count the collection but somehow always loses track! My card "logo" is also a little bunny with my name! Thanks for sharing. I look forward to your next posting of these precious images. So cute!!! I would love to have these and see more of them in the future. Thanks for sharing. Aw what adorable little images. I would love to have them, thank you :o) I'm just getting into digi images, these are so cute! Well done you, you're very talented :o) I hope this leads onto bigger things for you! I would love to have them and create something for Easter party, they are adorable, you're soo creative and talented person, I subscribe your blog via Reader for a long time and visit your blog often, thanks for soo many great ideas and your lovely tutorial have a blessed Easter, greetings from Poland! These bunnies are so adorable. I would love to receive a dopy of them. Thank you for offering them to us. They are adorable Mel! I know I would love to use them! I would love to have them. They are adorable. Have my granddaughters cards finished for this Easter, but they would definitely be wonderful for them for next year. Thanks for being you and being so generous. I sure would love to receive these. I will be able to try out digis and see how it goes. Thanks so much! OMG! I would absolutely love to use them! thanks! These are adorable! I would love to have them to play with. Thanks! OHH...these are adorable...I'd also love to have them! I'd love to have them. They are sooo cute. Thanks for sharing. They are adorable, especially the third one. Do hope you decide to put them up. Ummmmm YEAH I would love those! I think I may even have a little plane stamp that I could use so you could see the plane they jumped from. That would be cute. I would love to use the digis. They are so cute. Oh, I'd love those, they are adorable! 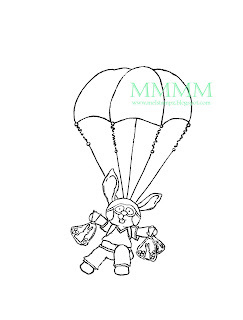 The parachuting bunnies are great! I would love to have them because I already have a card for my daughter in my mind, and I'd like to get it out of there and onto cardstock. Thank you for thinking of us. Mel, I have so thoroughly learned so much from your site, your work is FANTASTIC and I have never done digi stamping..........so I would LOVE your free sample and will stay tuned for more from you. Keep up the great work, trish. These are just adorable-I would love to have them--test my coloring lol!! 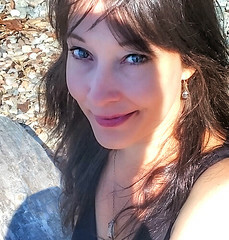 Oh me, me, me...I would love to work with your digi images! I am just starting to play with some images. Thanks for offering these cute bunnies for free. I am looking forward to what else you have in store for us. Not that you already do some amazing work and share so much of it. These are too freaking cute. I wish I had the talent to draw like that. I would love to have them. Yes, they are absolutely adorable!!! Those bunnies are so cute. Yes, I would like to have them. Thank you so much! I love the digis. I was just looking for some Easter themed digis for Easter jewelry and gifts. Thanks for the offer. Oh Mel, that would be great. I would love to have them! You are the BEST! Thank you!! I would love to have these little bunny's dropping in on me. Yes please!! OMG, these are too cute. Are you kidding? I would luuuvvvvv these digi images to color. 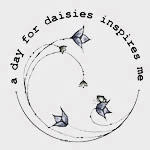 absolutely love digi stamps and love your blog. How adorable! I'd love to have them. Thank you so much for offering. OMG!!!!!! Of course!!! I love those images! You are so amazing! I would love to play with them for sure! Very cute! I would love to have them! They are just adorable and I wquld love to use them....you are so generous! what great image! !i love it! Surely you jest! We all would love to have these images...especially as you have been so kind as to teach us how to use the digis on your recent blogs! These are just gorgeous! I would love to have them. You are so sweet to offer up those images. I would so love to have some, so count me in! I'd love these two, especially the last one dropping flowers! I would definitely use them. They are so cute to make an easter card with. Who wouldn't want these.. they are adorable and.. free.. people want anything for free hon! You are too kind! I'd be charging money. ;o) I'd pay for them! They'll be on my girls easter cards. These are really cute would love to give them a home please. I would love your digi bunnies! I can think of several cute Easter projects to make using them. You are so generous. They are so cute. That would be great if you would like to share them. Lisa E.
Mel, The bunnies are really cute. I'd love to have them. Very cute images and very useful for Easter - I'd love to have them too. If these are doodles I can't wait to see what you can create in the future - they are super cute and I'd love to have a play with them too - thanx soo much for your kind offer - your blog is ALWAYS an inspiration! Oh Mel these could not be any cuter. who would not be interested in having these. Great job! Hi Mel! I would love to have them too! I like how unique the idea is of having them parachute. Thank you for all you do! Wow! They are great! So different too! I would love them as well. Thank you for letting us play with them. I can't wait to see more designs by MEL! Mel, these are adorable! I would love to have them! Your kidding, I absolutely love them! They are so cute and I'd love to have them! With all these comments you'll have to post them or you'll spend days e-mailing!!! Thank you so much!! They are soo cute!! I would be happy to have them. I would like to see and try some digital images to see if I would like using them. Thanks for the opportunity. These are so adorable! I would LOVE to have them to color and use on cards. You are so talented! Yes I would love one of these :), they are just adorable. Yes, I think the bunnies are adorable! Your blog is awesome and I love all your ideas, links and freebies! Keep 'em comin'! Oh they are so cute and original! I would love to be able to use these! Thanks for all that you do! Oh, boy! My comment will be 100! Anyway I just wanted to tell again how creative and talented you are, Mel! Thank you so much for sharing and creating them! These are adorable and thanks for posting them. I love paper piecing, so if you add more bits to these guys, please post those, too! I know my grand-nephews would love these for their Easter cards! re perfect for little boys...adorable. I would love them. Thanks!!! You do such neat things all the time. I would love them too, I think they would be perfect for the grandkids cards. Thank you so much. Wow Mel - you are so incredibly talented! Would love to play with these and give them a go! there so cuteI would love to have them thank you. How adorable. You are blessed with so much talent. Lucky for us! Thank you so much, Mel, for sharing your digi bunnies. I just thought you would like to see the card I made with them! Me again! Here is the second card I did with your darling bunnies. hope it is not too late to get these cuties. i sent you an email as I do not have a blog.